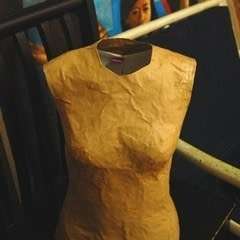 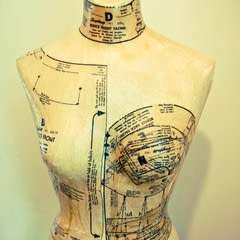 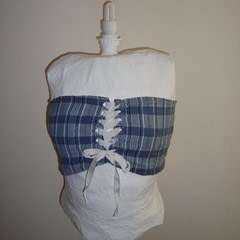 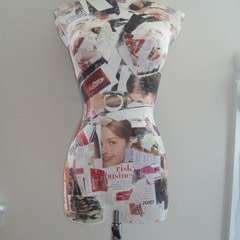 Duct Tape Mannequin · A Mannequins · Construction on Cut Out + Keep · Creation by Joy K.
Duct Tape can fix.. and make, anything! 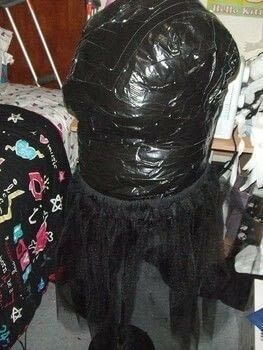 Made this duct tape form from a tutorial on the ThreadBanger site. 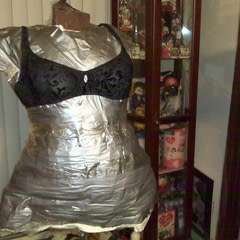 Took almost 3 rolls of duct tape!